But at a time of the year when apples and squash flood our tables and nourish our bodies, we’re reminded that millions of people around the world, from Haiti to Kenya, have no nourishment at all. And it’s not always because of food scarcity. Sometimes it’s because of the unintended but tragic consequences of our own government’s policies — policies that we have the power to change. For example, the U.S. Farm Bill, a piece of legislation that will set the direction of our global food policies for the next five years, is up for revision in 2012. The existing version of the farm bill has had devastating consequences on people in the developing world, filled with provisions that has made it harder to ensure food security for the less fortunate. The United States is the world’s largest donor of food aid. At first blush, this might make us feel proud. After all, America provides goods to people suffering from famine, natural disaster and conflict. And there is no question that this immediate food aid is critical and saves lives. But the truth is, the way food aid is carried out today — due to laws enshrined in past farm bills — is making our help in a world of ongoing global food crises almost irrelevant. First, food aid is expensive and wasteful. Shipping food to countries in crisis from the United States can cost upward of 25% more than purchasing food locally. We’re spending more money and providing less food for those who need it. Shockingly, most of the money we spend doesn’t even go to food purchase. Sixty-five percent of our food aid budget is consumed by shipping costs! Second, it’s slow. As you would imagine, food shipped to Africa or Asia from the United States can take two to three months longer to arrive than food purchased regionally. This delay may be a matter of life or death. A 2008 Bloomberg article reported that a bag of dried peas from the United States took more than six months to reach a grandfather in Ethiopia. His grandchildren starved to death before the shipment of food arrived. Had our government not sent the peas on a 12,000-mile journey by rail, ship and truck but instead donated money to purchase food directly from Ethiopian farmers, or provided cash vouchers for the grandfather himself to buy food that is often available but out of financial reach during times of crisis, the children might still be alive. Third, and most important, if we wish to ensure vulnerable populations’ long-term food security, our current system is not the solution, as it creates a vicious cycle of dependency. And it is far too hampered by our own domestic considerations to be effective. For example, by law, 75% of our country’s food donations must be transported by American companies — a misguided practice that can actually hurt the people we are trying to help. A much more sustainable approach that American Jewish World Service takes is to support Haitian groups that are rebuilding local food systems and to work directly with rice farmers who are struggling to regain their livelihoods. Our local partners are doing everything they can. But are we? We are inviting every member of our community to sign the Jewish Petition for a Just Farm Bill — a collaborative effort among several Jewish organizations — in order to send a message to Congress about our vision and values for America’s agriculture and food policy. A better food aid system will save more lives. 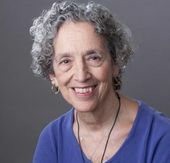 This story "American Food Policy Harms Neediest" was written by Ruth Messinger.